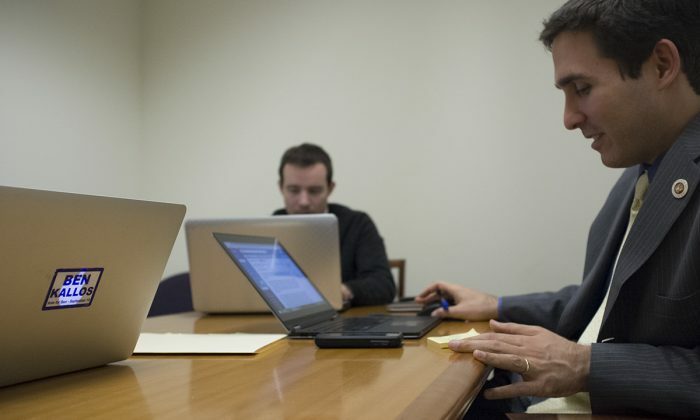 NEW YORK—A City Council committee voted unanimously on Tuesday to pass bills that would require the city to publish its laws and its official newspaper online. Currently, the city contracts the New York City Legal Publishing Corporation to publish the City Charter, the Administrative Code, and Rules online. But the contractor is not required to update the laws regularly. The new bill would require the city’s law department to publish the laws online, internally or through a contractor, and update them at least once every four weeks. “In this age of complex legal requirements in so many areas of our life it is more important than ever for the law to be accessible to everybody. In the age of Hammurabi that meant putting it in cuneiform. Today it means putting it online,” Ben Kallos, the chair of the Council committee on government operations, said. The committee also approved a bill to require that the City Record, the government’s official newspaper for notices, be published online in a searchable format. The City Record editions are currently published as standalone issues that cannot be searched in their entirety. “It’s amazing that this paper is published daily but is not generally searchable online or across issues,” Kallos said. The city’s finance division estimates that it will cost $100,000 in this fiscal year to put the City Record online. There is no additional cost to put the laws online, since a contractor is already being paid to do so, but is not yet required to update the laws regularly. The bills are subject to approval from the full City Council and will then require the mayor’s signature to become law.